The seizing of US federal land by an Oregon militia is a reaction to the many years of the government abusing its citizens, former Oregon Cattlewomen President Melodi Molt told Sputnik on Thursday. WASHINGTON (Sputnik) — "Often, we have had written contracts with the BLM [Bureau of Labor Management], Forest Service, and Refuge management that are disregarded by the Federal employees," Molt said. "It is that sort of action that creates distrust and downright anger." 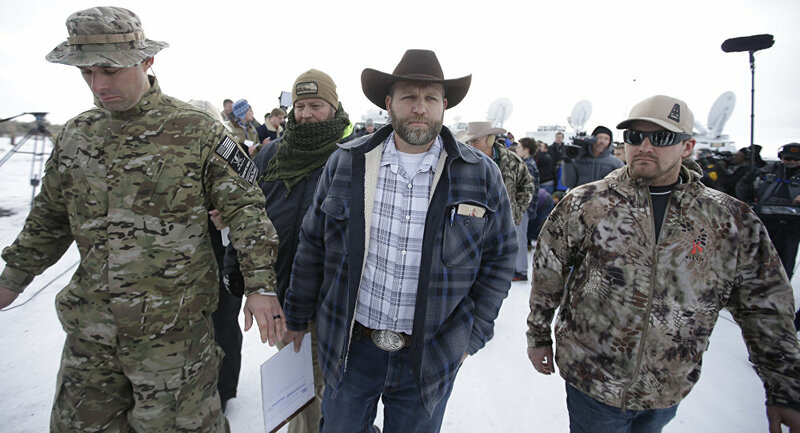 On Saturday, the militia group Citizens for Constitutional Freedom occupied Malheur National Wildlife Refuge headquarters after a march in support of local ranchers. The move was made in response to the decision of US authorities to increase the jail time for a local farmer’s family on a charge of arson committed in 2006. Molt said the farmers in Oregon have no problem with a handshake because they believe it’s as good as a written contract. She said, however, given the government’s dishonesty, they are less than happy with actions taken against some of their own in the militia. "In addition to sending the men of the family to prison for long enough to financially crush the family ranch, the Federal government somehow ends up with a first right of refusal on their ranch land," Molt said. She said the federal government forced the farmers to sign away their land rights upon being released from prison. "It is too bad that some of the people in Harney County, that finally took their heads out of the sand, are only screaming for Ammon Bundy to leave," Molt said. She said Oregon ranchers should use this opportunity to change things from how they have been. "If they allow this opportunity to pass, they will be picked off one by one as their former fellow ranchers has been, leaving the western way of life to die a painful and disgraceful death for the lack of courage to stand up for themselves," Molt concluded. On Wednesday, the militia group’s website spokesperson John Asturias told Sputnik that their protest continues to remain peaceful and the group is only armed to defend themselves in exercising their Second Amendment rights guaranteed in the US Constitution.